The team, consisting of 5 members including Zoe Hollomon, Signe Harriday, Nicki McCracken, Suzy Messerole and Tana Hargest represent the diversity of the team and bringing the beauty of diversity to synchronized swimming in a supportive and fun environment. They advocate for their causes through synchronized swimming and seek to change the perceptions of the sport in which specific standards of beauty are common. The Subversive Sirens are showing that synchronized swimming is a sport for everybody, and by building a positive body team they are proving that the days of Esther Williams are in the past. 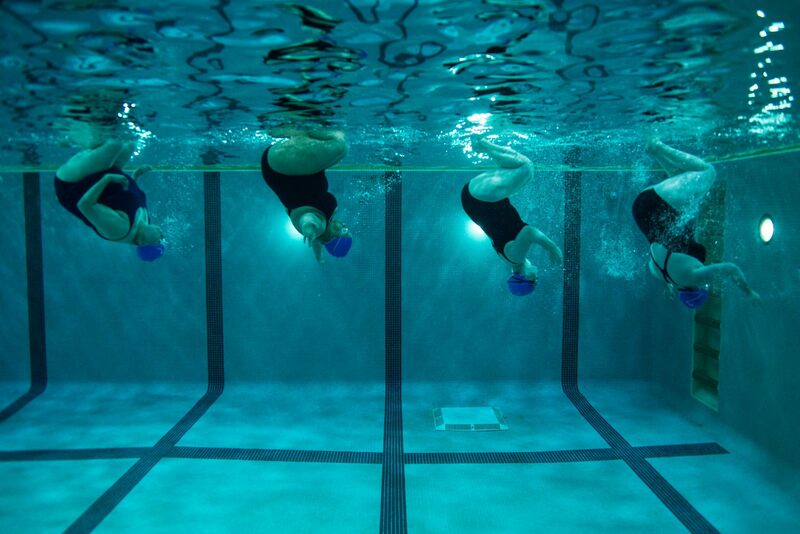 The Subversive Sirens began shortly after the 2014 Gay Games when Signe and Suzy were inspired to start a synchronized swimming team to help build the sport. They were later joined by Zoe, Nicki and Tana and with the help of the former synchro swimmers on the Northern Pike Master’s Swim Team, the group eventually started developing their routines. They hired a professional choreographer and are not on their way to make their big debut in Paris 2018. Help get the Subversive Sirens to the Gay Games! Visit their crowdfunding page and make a donation!